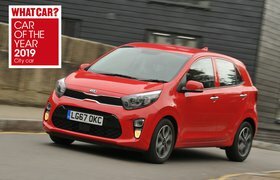 New Kia Picanto vs Volkswagen Up | What Car? Latest Picanto has loads of equipment, including a swanky infotainment touchscreen. Funky new Beats edition packs a punchy stereo and a powerful engine by city car standards. City cars seem to be forgetting their place. Models in this class used to be slow, impractical and poorly provisioned, and really only suitable for buzzing around town. To be honest, easy parking and low costs were the only real reasons you might have considered one. Well, you can still pick up a basic runaround for £7000, but push your budget to around £12,000 (or £180 a month on a PCP deal) and you’ll get five doors, a willing petrol engine and a healthy roster of standard kit. So, just how capable can the modern city car be, not just in town but also out on the open road? 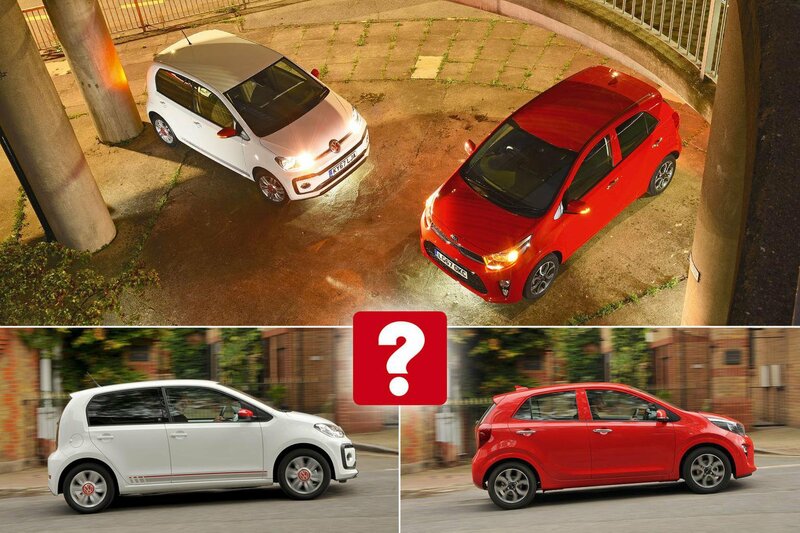 To find out, we’ve lined up two of the most spacious, powerful and generously equipped cars in the class: the new Kia Picanto and the long-standing Volkswagen Up. Think of the Up as the Usain Bolt of the city car class. Okay, that’s perhaps a little generous, but it will easily outsprint any of its peers, including the Picanto. And because the tiny 1.0-litre petrol engine is turbocharged in this range-topping TSI model, you don’t even need to rev it hard to keep pace with some of the bigger boys of the road. Swift progress in the Picanto isn’t so effortless. Venture onto the outside lane of the motorway or encounter a moderate incline on a faster A-road and you’ll find yourself changing down a gear or two and using the lower reaches of the accelerator. Do that, though, and the Picanto isn’t actually that much slower than the Up. 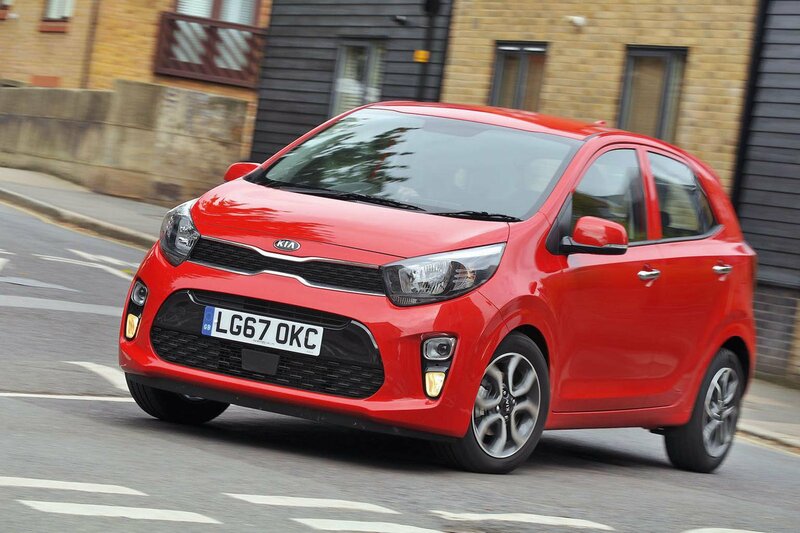 Because you need to work the Picanto’s naturally aspirated 1.2-litre engine hard to get the best from it, this inevitably means it can be quite vocal. However, the fact that it has an extra cylinder than its rival (four versus three) means it’s actually smoother; you feel fewer vibrations filtering up through the pedals and steering wheel. In fact, the Picanto is the quieter companion at a steady 70mph, although chatting with your passenger will still require raising your voice. Whisper-quiet limousines these cars most certainly are not. You won’t grumble about heavy steering or wide turning circles in either of these cars, but venture onto a winding B-road and it’s the Picanto that feels more at home. It darts into corners with surprisingly little body lean and hangs onto the road willingly, and its steering is hard to fault for accuracy. By contrast, the Up sways about when asked to change direction and its steering wheel kicks back in your hand when you approach the limit of grip. On the plus side, its steering does provide you with a slightly better sense of what the front wheels are doing. The Up’s softer suspension gives it the more comfortable ride, too, no matter what speed you’re doing. That said, wider experience tells us that upgrading to 16in or 17in wheels (from the standard 15s) will have you wincing over sharp-edged bumps. And the Picanto isn’t at all fractious; it just jostles you around a bit more over minor road imperfections.